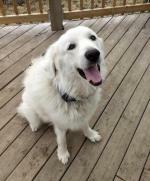 There has been a mother dog (great Pyr) roaming around our rural area and got 3 of our chickens then she showed up one day with 6 puppies, the owners live about 1/2 mile from us but doesn't have a fence or seem to care about these animals. One of the pups (male) seems very content, quiet not whiny like his siblings, he loves to play with the other pups but is also content to rest on his own. my question is would it be possible for one of these pups to be adopted and trained as a livestock protector? 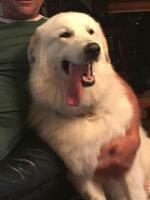 I just don't have the money to buy a pure breed pyrenees right now and the closest breeder I can find is 2 hours away. I hope your neighbour has her girl spayed. She does need to contain her dog. I suggest calling by-law. This isn't fair to the dogs. 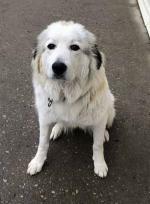 Providing this is a full Pyr pup, yes, you can train the pup but the pup won't be ready until about 1.5 year to be left alone to be guardian. They are still puppies and need to be pups. Please, whatever pup you adopt, when he/she reaches 6 months, please have her spayed/neutered so you don't want to have unwanted pups. It's so unfortunate that this sort of thing continues. The puppies do not have much of a chance at a future if the entire family is not rescued. Here's the problem with adopting one of these pups. You have no idea what the mix is. Could be anything. 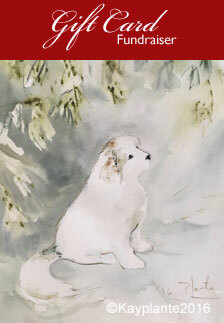 Your desire for a guardian dog may end in disaster and heartbreak for you and your family, as this pup grows into a very large, very strong, and independent thinking dog. The chance of you being lucky with him is 50/50 at best. If the pups are crying they are not getting enough nourishment, the quiet one is most likely the biggest getting the most. If the owners lack the responsibility to spay their female, feed her properly (so she wouldn't feel the need to supplement her diet with your chickens), and allow her to "run the roads", the chances that the pups have been seen by a vet are pretty well nil. So, they are wormy and have no defenses against Parvo, heartworm etc. 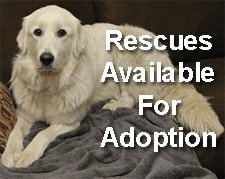 You may not now have the money to buy a purebred from a reputable breeder, but you must consider the fees you will be paying the vet if you adopt a sick puppy. Your best bet is to walk away from this one. If it bothers you that these animals are not being properly cared for, try speaking with the owner or contact your local rescue agency. 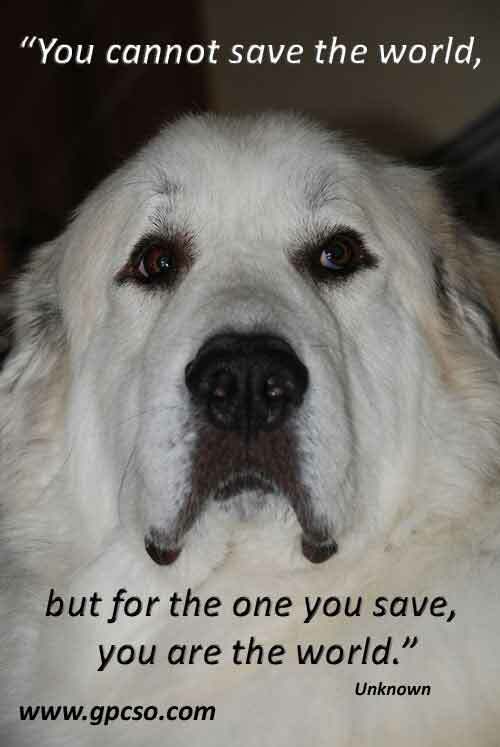 There are a number of Pyr Rescue groups in U.S. and Canada where you can adopt a healthy, vetted, neutered Great Pyrenees and you will still be saving a life. And your chances of adopting a good dog much, much better. It would be nice if you knew what the other half is but I think you would have a pretty good shot it seems like when momma of the mix is a pyre the genes are pretty domanent. If it were me I would keep the one I want and then collect the rest and find homes for them. Of course only after making sure her owner is not interested in her dogs puppies. But please see that all puppies are in home don't give them to a shelter if you can help it. Find a rescue to help I suggest you contact the national Pyre rescue for help. They are really devoted to the breed even mixes. If you do I promise you will feel good about yourself. Please don't turn your back on these babies! What ever you desire on the puppy problem please try to make sure someone takes responsibility for these puppies. If you don't want to do it get the females owner involved or a rescue. The owner of the mom is being a very pet owner and should not even have a dog. As far as the puppy you do desire on before neutering do your he work on when to neuter. 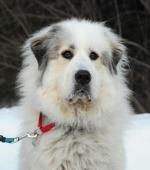 With large breed dogs neutering at 6 months is far to early. 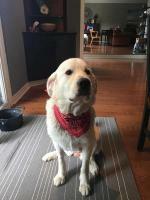 They need there testosterone and hormones to make there bodies grow right and since giant breeds grow for two years or so, neutering early can lead to platelets not growing correctly into joints raising the chances of hip and knee problem the possibility of incontinence with females. Poor bone structure and a whole host of other problems.